Look at that, two watershed moments in one title! The first, the NOT, is a bit of news I’ve been sitting on for a couple of weeks now – an actual, whole, bona fide ( or in this case, more aptly perhaps, bony fido) *publication!! Ok, so another 79 people won the competition too but what good company my junior offering is in! Fancy a look at a real feast of bite-sized fiction? Get yourself over to Michael J Solender’s blog ‘NOT from here, are you?’ and download the e-chap. The out-and-out winner was Sam Adamson whose story ‘The Pit of Hades’ is a beautifully crafted and neatly tailored piece of work which also contains the word NOT in capitals twice. Clever, that. I’d have over done it, if I’d thought of it at all, and it would have been a convoluted macrame of a tale. Good thing I left it in the capable hands of a fellow Brit, a northerner to boot, which combination allows me to glow shamelessly in (possibly) unwelcomed allegiance! The second part, the TED, is an ambition that has been creeping up on me, tapping me on the shoulder and sneaking off again, for about a year now. 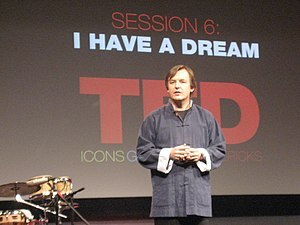 Oh what wouldn’t I do to be invited to give a TED Talk! That’s my other life; the one with the research, the virtual worlds, the writing that makes a different kind of difference. What luck that I can take a shot at both and that whatever I learn from one, is likely to enhance the other. It doesn’t get much better, does it? I have no idea what a TED is so I am off to look that website up as well. I just watched a TED talk about how it’s not a good idea to talk about your goals as your less inclined to achieve them. Very interesting, guess I’ll keep my mouth shut about my novel until it’s published one day lol. I think I understand it up to an extent, it’s the reason I have yet to even mention the name of my novel lol. I think I take the view that, if I let people know what I want, I might get some help on the way. Course it could come back and bite me on the bum but at least I don’t have to remember what I’m supposed to say to whom! Next Next post: In the post today..